When it comes to pastor housing, more and more churches are opting to sell the parsonage and allow the pastor to purchase their own home with a housing allowance. Last week, I traveled out of state to speak at a church’s missions conference. The pastor and his wife hosted me in their home. As they were showing me around, I learned that their home had been the church parsonage, but they are in the process of buying it from the church. They loved the house, and have lived in it for over 20 years. They wanted to do some remodeling, and it was a hassle to have to bring every decision before the church trustees. They wanted to build equity which could help them when they retire in 10-15 years. The church gave them a great deal, and it was happy to get out of the housing business. Of course, if they didn’t like the house, I’m sure the church would’ve sold the parsonage to someone else, or even just rented it out, and used the proceeds to fund the pastor’s housing allowance. Across the U.S., less than one-third of all pastors live in a parsonage. I think that percentage will continue to decrease. What do you think? Next time, I’ll share some of the reasons why a church might want to keep the pastor living in the parsonage. 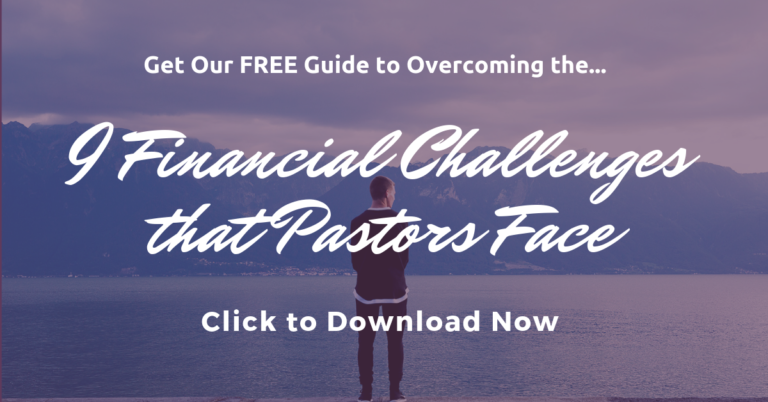 Is it better for a pastor to be on a 15yr mortgage or a 30 yr mortgage (tax-wise and benefit-wise)? Hi Nancy, great question! I’ll give you a quick answer now and will provide a more in-depth answer in a future article later this week. The answer depends on several factors: Your age, your taxable income and tax bracket now, what your taxable income and tax bracket might be from years 15-30 (if you did a 30-yr mortgage), and your long-term money goals. You’d also have to decide whether to assume the mortgage interest deduction will still be around AND whether the clergy housing allowance exemption will still be allowed 5, 10, 20 or 30 years down the road. At face value, looking at how things are today, you’d pay more mortgage interest over the 30-yr term compared to the 15-yr, but you’d receive a greater benefit in terms of reducing your taxable income because of the housing allowance. However, that may or may not make much of a difference, based on your taxable income. Whenever the home is paid off, whether in 15 or 30 years, you can still claim a housing allowance, but it will be based just on your utilities, insurance, and other related household costs. Please check back soon and you’ll find a more complete answer which also considers several other factors. Thanks!